Tursdale comprises a medium to heavy engineering complex much of which has been refurbished and extended within the recent past. The buildings are all similar in construction being steel framed with an eaves height of up to 8 metres (26 feet). The external walls are of cavity brickwork to a dado level above which is insulated profile steel sheeting. The roofs are double pitched and again of insulated profile steel sheet construction incorporating translucent roof lights. The main workshop area (Units S1A-E & S2) provides six almost equal bays, each with the benefit of overhead travelling craneage ranging in capacity from 5 to 10 tonnes although we understand the steelwork is capable of supporting a crane of up to 15 tonnes. Unit S2 was constructed in 1993 and has no craneage, however, the steelwork is designed to support a crane. To the south and west of the main building are two further detached workshop blocks, each being similar in construction to the main building. Unit S5 immediately to the south of the premises provides two 5 tonne overhead travelling cranes as well as offices / WC facilities and hardstanding. 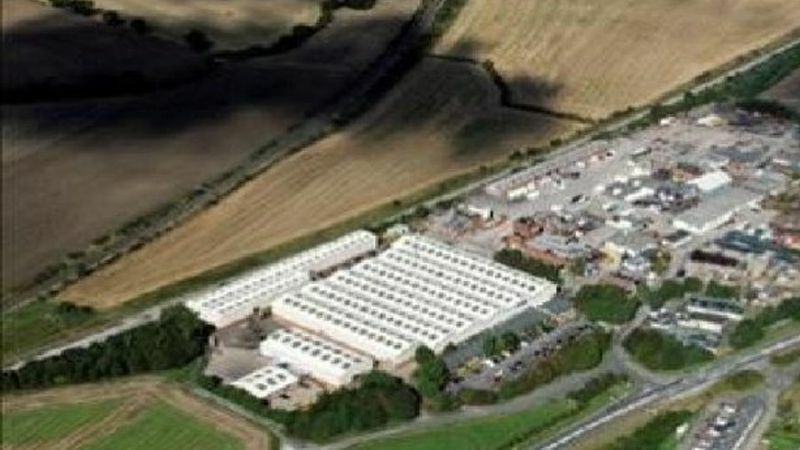 To the north of the site are a variety of smaller workshop units of brick construction ranging in size from 180 m2 (1,944 sq ft) to 202 m2 (1,180 sq ft). To the front of the site is a single storey office section providing a variety of private and general offices and ladies and gents WC facilities. The accommodation is of cavity brickwork construction under a pitched roof of mineral felt covering. Internally the offices have suspended ceilings throughout with recessed fluorescent light fittings, carpeted floors and dado perimeter trunking. The area can be subdivided according to requirements.